Hey, hey! It's Monday again. But really who cares? It's time to stop dreading Mondays and enjoy waking up to the opportunities given to us in this new day! If there is anything that is constant in life, Its CHANGE! With the fall season upon us, its time for just that! So don't be afraid to make changes in your life...career, relationships, or personal things. THE TIME IS NOW. I'm even talking to myself in this post because I'm finally about to be making the transition to blogging full-time! It felt so good to say that. Honestly, I'm so afraid and yet so excited because this has been a lifelong dream of mine. I literally cannot take it anymore. I cannot accept mediocre, working for someone else, and mostly working on things that I'm not even passionate about! This post is definitely about styling ankle boots, I swear lol, but when I started typing. My emotions poured into my writing. That's legit passion. lol, I will no longer withhold my creativity from the world anymore. It's time to pour into the world all of the talents that God has gifted me with. I'm ready to step into my purpose and I truly feel in my spirit that this is the direction that God wants me to go in, All or nothing! So I'm ready to be a vessel for him. I don't know what's going to happen next but I could care less because I'll be 100% fulfilled working for myself on creative projects! I love, love collaborating so I'm looking forward to many more of those as well. 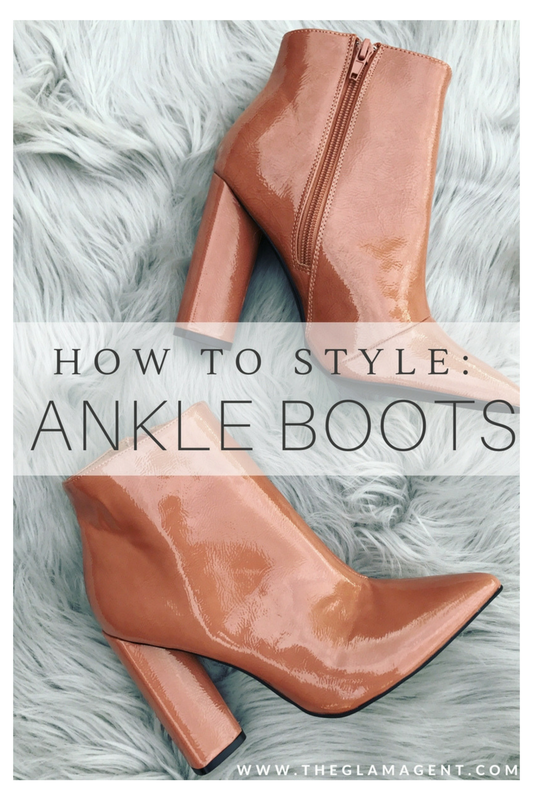 How do you ankle boot? My favorites right now are the faux patent leather ones that I purchased from Charlotte Russe in a mauve color. Talk about wearing them with everything... I literally want to wear mine with everything in my closet and guess what? That's ok. 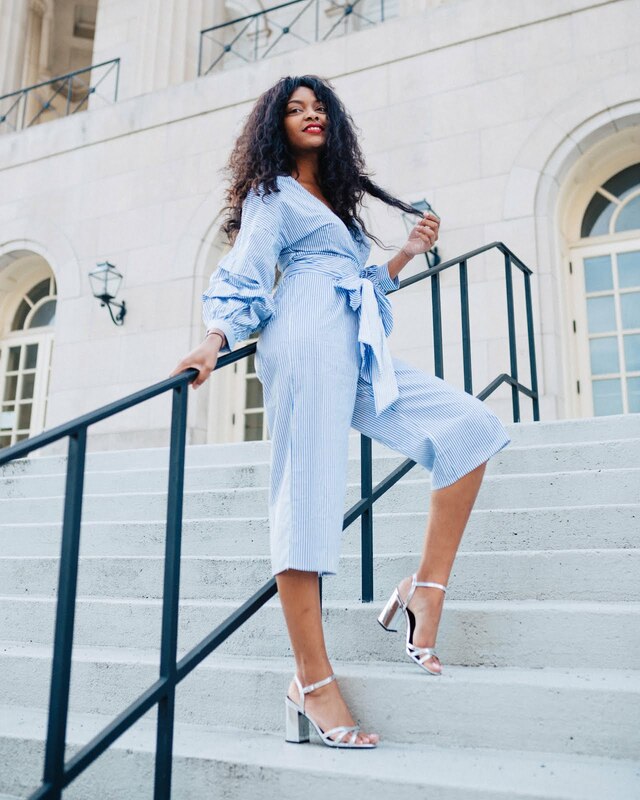 I'm going to tell you the many ways to style ankle boots so you can take your ankle boot game to the next level girlfrannn! My go-to skirt for this season is definitely leather skirts. I just can't get enough. In order to pair your ankle boots flawlessly with a skirt, the key is choosing the skirt that has the right length and coordinates well color-wise. I recommend mini-skirts in order to really sass up your look! It's really hard to mess up ankle boots worn with jeans, you know what I mean? Cuff your jeans once for the perfect, sleek look! You just about can't go wrong rocking your fav pair of jeans with ankle boots! Alrighty, a pair of tights worn under a skater or even midi dress will do the trick for your boots! Its always nice to add some glitter tights/leggings or any type of leggings that will add pizazz to your look! Throw on your ankle boots and wallah, magic! Ok, this is my last time (in this post). So, a pair of ankle boots worn with these trousers will have you looking stunning and I ain't lying. But really if you just can't stand wearing glen plaid trousers then, of course, match up your fave with your boots and you have a LOOK! I thoroughly hope you enjoyed this post! & if you did, submit your email for more stuff like this!